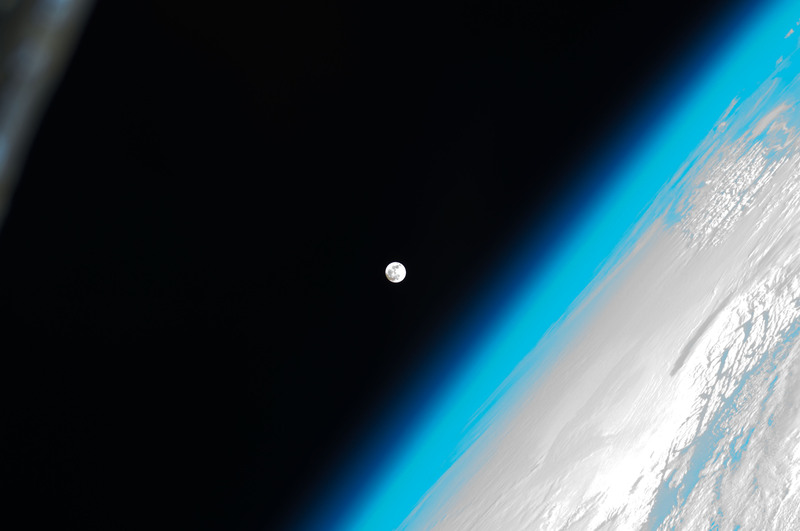 Protect & Secure "Thin Blue"
"Look at how thin our atmosphere is. This is all there is between humankind and deadly space." 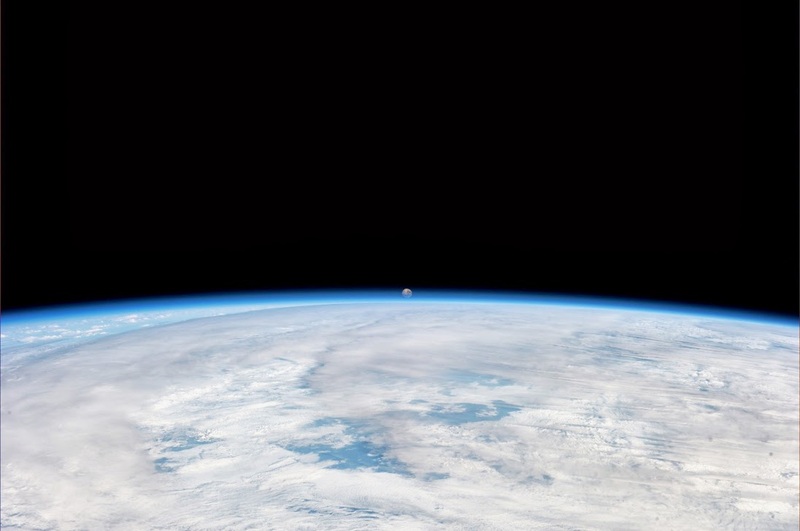 "Perspective... from an Astronaut's point of view the thinness of the Earth’s life-supporting envelope is clear to see. Yet, from the surface of the Earth, looking up, it is not clear at all how far the atmosphere goes. It is not clear how this 'thin blue' layer acts to protect our planetary ecosystems, our biosphere. "A collapse of the biosphere due to anthropogenic climate change is not an impossible scenario when seen with an overview perspective. The words of astronauts speaking of the thin layer of Earth's protective atmosphere are as if a modern Cassandra is warning without being heard or listened to by those too busy to hear..."
"Let's talk in common language then, the language of cars and these cars are being driven up into the sky, not on highways to work or play. 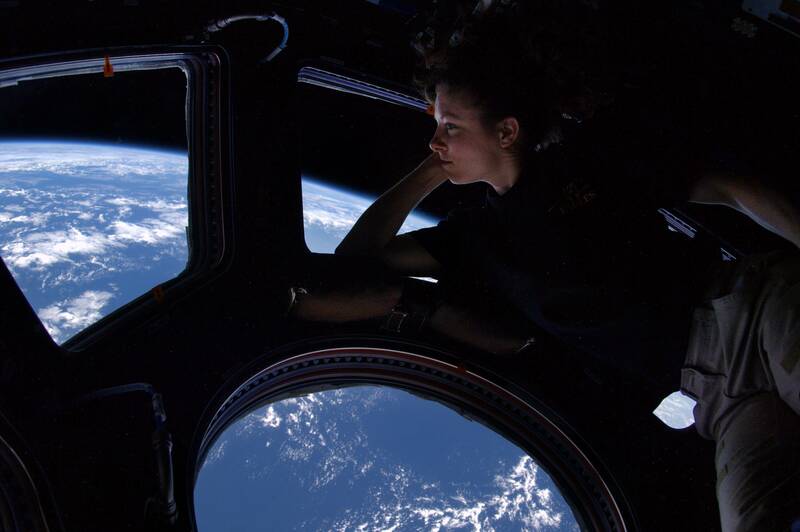 How far is it before we reach the edge of space, the border to life as we know it down here on Earth? How can kids in schools get a lesson that simply says "the 'thin blue' atmosphere that protects life on Earth is at risk and needs to be carefully taken care of and preserved. Our planet's health is in your care..."
"An Experiment of Epic Scale"
Atmosphere of Earth - Wiki / Isn't It About Time We Measure the Dynamic Changes in the Atmosphere? Steven Schmidt / GP360 Siterunner: "A chemical experiment with unknown consequences is taking place above and around us. The Earth's atmosphere, a thin layer that enables and protects life, is being impacted by potentially deadly human-produced emissions, even as a first generation of data and science is being produced with atmospheric observations from space. We are beginning to realize the extent of an existential experiment humanity is conducting in the atmosphere of the planet. The Anthropocene era is a gathering storm that is changing 'nature' and our responsibility to future generations is profound." Elon Musk: "The greater the change to the chemical composition of the physical, chemical makeup of the oceans and atmosphere (due to increased carbon emissions), the greater the long-term effect will be... Why would you run this crazy experiment to see how bad it'll be? We know it's at least some bad, and the overwhelming scientific consensus is that it'll be really bad." as today's generation begins to measure and calculate the cost of "externalities"
As planet citizens we must acknowledge and measure our impact on natural systems of Earth and protect and preserve the thin layer of life-enabling atmosphere. This page was last modified on 24 January 2019, at 01:50. This page has been accessed 66,988 times.